Book your MAY HALF-TERM SCIENCE CAMPS today! Book your MAY HALF-TERM HOLIDAY CAMPS today! (4-12 yrs), The Academy South Kensington & Swiss Cottage Library (28-31 May 2019) free early drop-off 8.45am, 10% sibling/friends discount), places filling up fast! Science & STEM Weekends in South Kensington. 10% Discount Offer! 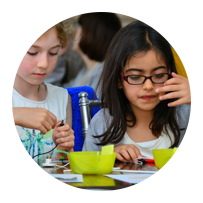 For more intense weekend classes and fun STEM experience, join us each Sunday, 10.00-12.00 in South Kensington. Trial classes available and sibling discounts available! Book your Summer Science Camps for 2019! New Topics and Locations! We are offering brand new exciting topics and hands-on camps this Summer in South Ken & Swiss Cottage. Ages 4-7y and 8-12y will be taught in separate groups (free early drop-off 8.45am), siblings & friends discounts available - Early booking highly recommended! Offering new Big Science after school clubs for Summer term 2019! Tue's at Baden-Powell House and St John's Wood, Thur at Imperial College Union and Sat's at Marlborough School SW3 - starting 23 Apri 2019! Why not bring a Science club, or book assemblies and demos at your school/nursery at a time and day convenient to you and your children! STEM Sundays 10.00-12.00 South Kensington. 10% Discount Offer! For more intense and fun STEM experience, join us each Sunday, 10.00-12.00 in South Kensington next term, starting 28 Apr Jan 2019 for 11 weeks. Trial classes available/sibling discounts available! Book your Holiday Science Camps for 2019! New Topics and Locations! 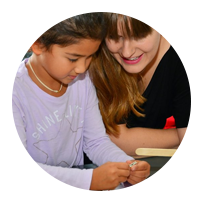 We are offering brand new exciting topics and hands-on camps during 2019 at South Kensington & Swiss Cottage! Ages 4-7y and 8-12y will be taught in separate groups (free early drop-off 8.45am), siblings & friends discounts available - Early booking highly recommended! NEW Big Science classes 8-12 years for Summer Term. 10% Discount Offer! Offering new Big Science after school clubs for Summer term 2019! Tue's at Baden-Powell House and St John's Wood, Thur at Imperial College Union and Sat's at Marlborough School SW3 - starting 23 April 2019! Did you know that we've been supporting the Royal Society for the past 4 years kids section at the Annual Summer Exhibition to inspire a new generation of young scientists! Book your Arctic & Antarctic Science Camp at Baden-Powell House (4-12 yrs) from 17-21 Dec 2018 (early drop-off), places filling up fast! - Click here! Join us for exciting, hands on science camps all year round, siblings&friends discounts apply. Children will be taught in age adjusted groups by Science teachers and Communicators. 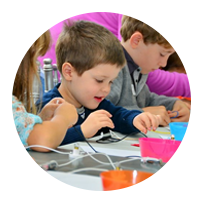 Join us for Monday to Sunday project-based term classes and weekend STEM at Imperial College Union, Baden Powell House, St John's Wood, Swiss Cottage, Westbourne Grove, Marlborough School, Bucks&Ealing. We assist and work with nurseries and schools all over and London&Bucks to run interactive school science clubs, weeks, assemblies, demos&workshops. All our teachers have full DBS checks and are excellent, fully trained science teachers/communicators. Little House of Science is where little and young Scientists can experiment, explore, learn and play! Children are naturally inquisitive which makes them ideal scientists. It’s never too early to start educating children about STEM subjects (Science, Technology, Engineering, and Mathematics). Both boys and girls are curious and want to learn about the world and how everything works. We notice this from the moment children start to talk to us. They observe their surroundings and ask questions - like how the stars got into the sky? Why is the sun so bright? How are bridges built? How do cars drive and aeroplanes fly? And how do our magnificent brains work? There is never a shortage of questions coming from their eager minds. We now teach over 3,000 of children each year during term times and during school holidays in STEM related subjects in London and across the UK. Due to the increasing demand we also offer not only in London, but also in Buckinghamshire and Berkshire. At Little House of Science we nurture this curiosity and re-enforce STEM-related subjects in an exciting, practical and fun way so that children can connect with science from a very early age. Girls are particularly encouraged to start early because it can be more challenging to capture an interest to pursue science in the later stages of their development. We communicate to the children how important a role the various aspects of STEM play in our life quality and what it can do for us all. This helps them connect to the wonderful world of science, no matter what their interests are. Our diverse syllabus includes age-adjusted topics from Life, Earth and Physical Life Science, as well as Engineering. Our project-based creative science workshops involve practical hands-on experiments and also include take-home items and parental notes. We combine education with a fun and practical approach in order to foster your child's innate curiosity. Our weekly in-school and after-school science workshops are for children aged 3-7, Little Science, and 8-12 years of age, Big Science Academy.